A charming Birthday Day card adorned with a curious dog, butterfly and floral design. 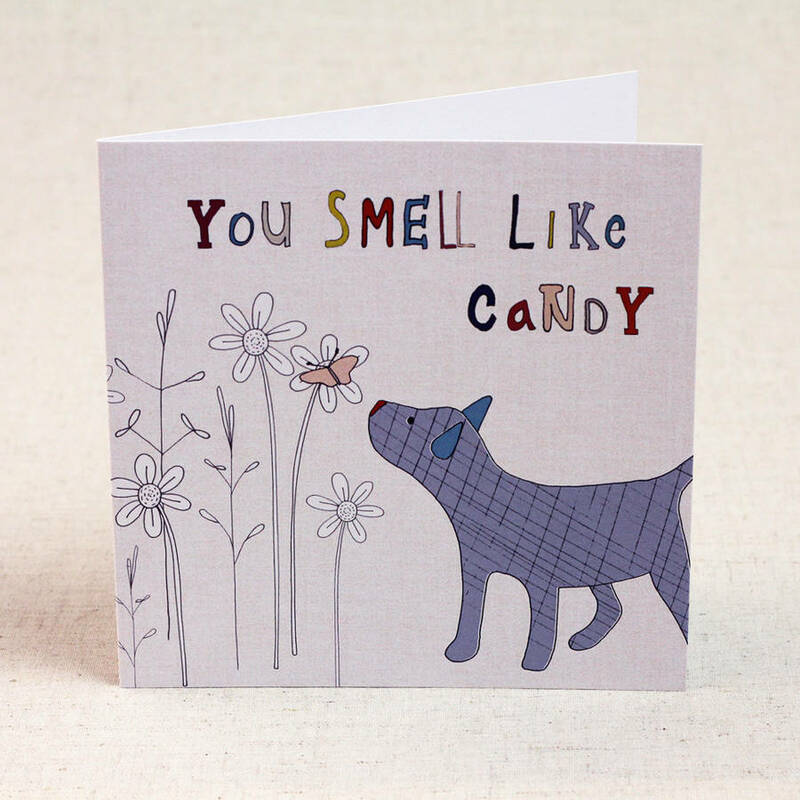 From the Curious Hounds design collection comes this square card which injects a whole lot of fun into Birthday's. 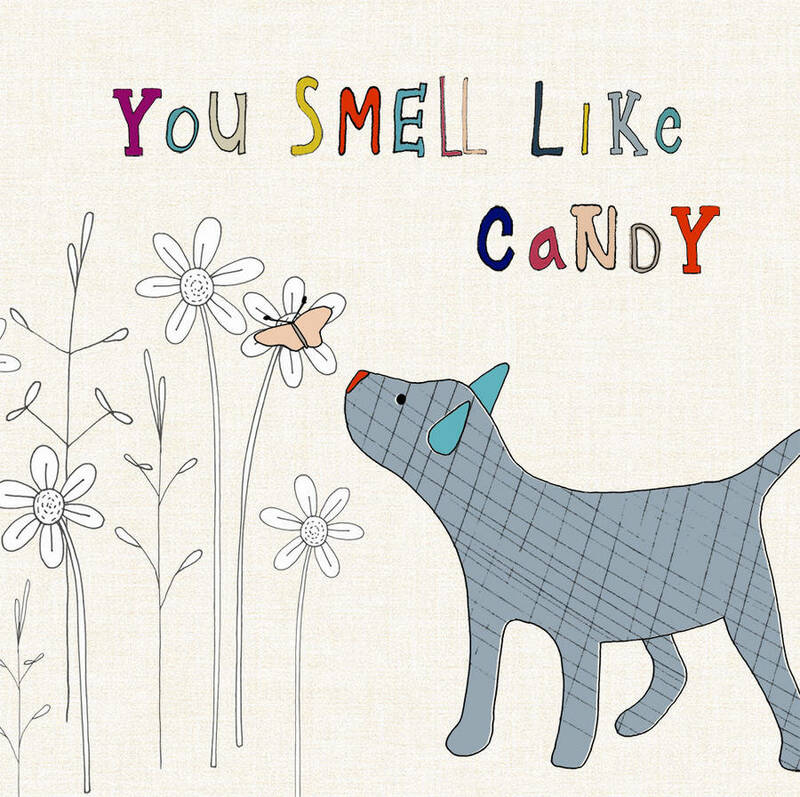 Featuring a super cute original hand drawn illustration of a dog and a butterfly. Guaranteed to bring a smile. Blank inside for your own personal message. Designed and printed in England. Printed on thick 345gsm paper stock, with a beautiful matt finish. Chlorine free paper from sustainable forests. Comes with an off-white envelope.